While Washington expects China to pressure North Korea in order to make it stop conducting missile tests, the influence Beijing has on the situation is overestimated, an assistant director of the US-Korea Institute at the Johns Hopkins School of Advanced International Studies told Radio Sputnik. According to expert Jenny Town, the fact that Beijing has influence on the North Korean economy, as it is the country's major trade partner, doesn't mean that China has leverage over Pyongyang's shows of force. Radio Sputnik discussed the issue with assistant director of the US-Korea Institute at the Johns Hopkins School of Advanced International Studies, Jenny Town. “I think people really overestimate China’s influence in this situation and they assume that economic influence means political influence,” Town said. She further spoke about the recent statements by the US aimed at responding to North Korea’s threat. “The X factor in all of this is really Trump’s ego. The beating on the chest is a new approach for the United States, but it’s not one that is productive and on top of that it’s basically undermining his own policy which secretary Tillerson has been trying to put forward and this policy of maximum pressure and engagement,” Town said. She further spoke about how Tillerson is trying to calm the situation and not to go to war. “The higher the tensions get, the higher is the chance for an accidental war to take place, which is why this sort of war of words is not in the American’s interests,” the analyst said. According to an op-ed in the influential Chinese newspaper Global Times, China "will stay neutral" if North Korea launches missiles threatening the United States, but Beijing will respond if the US and South Korea strike first and try to overthrow the North Korean regime. According to The Washington Post, The Global Times is "not an official mouthpiece" of the Chinese Communist Party, however, the statement seems to accurately reflect Beijing’s official stance on the matter. 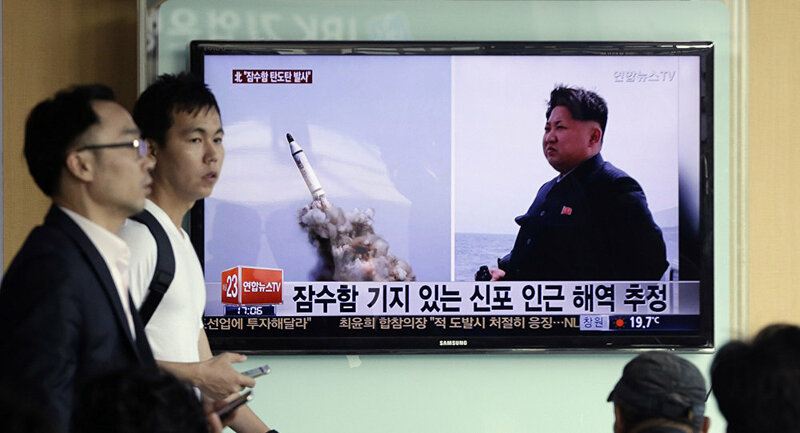 The tensions around North Korea have been high over the recent months and they have escalated further after the tightening of economic sanctions against North Korea by the United Nations Security Council (UNSC) on Saturday in response to July's launches of ballistic missiles by Pyongyang. 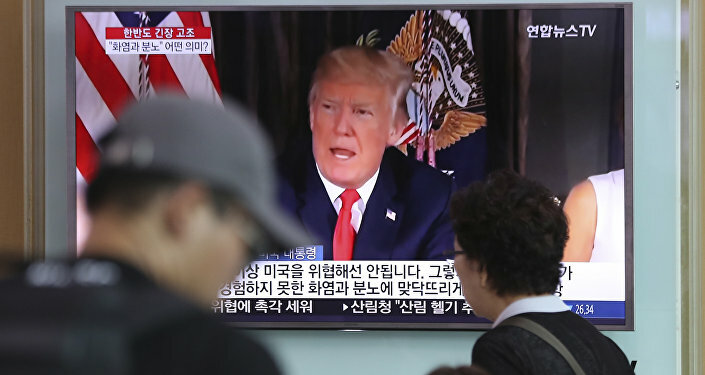 The move prompted harsh criticism from Pyongyang which subsequently vowed to use any means possible to retaliate against the United States after the UNSC approved the new US-drafted sanctions. Trump in turn, warned, that North Korea’s possible actions would be met with "fire and fury" from the United States. Following the statement, Pyongyang said it is considering an attack near the Pacific island of Guam where several US military bases are located. On Friday, Trump said that US military solutions are "fully in place, locked and loaded" should North Korea "act unwisely."